Hi there! My name is Amy Johnson and I am a Chicago-based Senior Mobile UI Designer. I am currently a Senior Visual Mobile Designer for the Arity Pattern Library team. I formerly worked at Allstate, NextRadio & TagStation, and Motorola Mobility. I went to school for graphic design, but paved my way into UI/UX and Visual Design through bootcamps, internships and start-up experiences. I like to challenge myself and stay on top of current trends and technologies by going to AIGA, IXDA and other events and conferences. I'm a lifetime learner. When I'm not going to talks and conferences, I play boardgames and competitive card games to stay sharp (and for fun of course). Some aspects of my profession that I enjoy are rapid prototyping, the iterative nature of the web, and creating world change through beautiful experiences. I also like that I get to draw all day. Amy was instrumental in launching numerous projects last year. She did an amazing job working through challenging scenarios with ease, creativity, heart, and diligence. 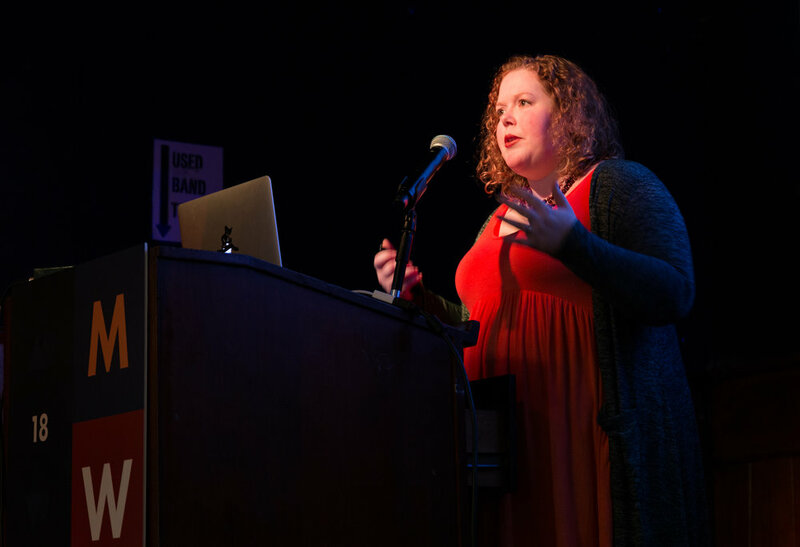 She was the go to person on various technical, production, and UI style questions for many of the visual/product designers. In many instances, Amy’s skills exceeded those of some of our senior staff on the team. She is a team player but also works well independently and no task is beneath her. I brought Amy on to the design team to support basic production design tasks and ad-hoc projects. It soon became apparent that Amy’s talents and far exceeded that role. Within a couple of months, I moved her to one of the most demanding and visible product teams for motorola.com. Amy is a great visual designer, and an innovative design thinker. Her design sense is refined, and she is able to match her solutions to the brand or product at hand. She is driven, loves to work hard, and juggle multiple design tasks simultaneously. She learns fast, too, adding to her breadth and depth of skills rapidly. I design native mobile components for Arity’s Pattern Library Team. Working with Android and iOS design patterns, I am tasked with creating seamless visual experiences for Allstate Mobile. I am also unifying existing and future assets across all digital platforms by helping create Allstate's Human Interface Guidelines. Was the sole product designer for the Android product, NextRadio, and web app, Tagstation, on a small team of developers. Wore many hats including User Researcher, UI/UX Designer, Visual Designer, Content Strategist and Product Owner. Worked on various illustration, print and web projects across three states. Muddy Monk, Simple Focus, Killian Branding, Wilson Dow Group, Imaginary Landscape, Lacroix Design Co. and C2 Creative Consulting have been some of my clients. Designed for Motorola.com on a small team. Ideas are brought to life through concepting, wireframing, prototyping, user research, Photoshop execution, development hand-off materials, production and QA. web collateral for a variety of clients including non-profits. Designed web tools, phone apps and websites with wireframes, mock-ups and prototypes with a start-up in Chicago. Designed in-house print, web and marketing materials for various events. Created various print, web and marketing materials for several non-profit and start-up companies as well as in-house work.